A pen with a large built up handle. The larger the surface area is, the more there is to grab and hold onto as a user writes. 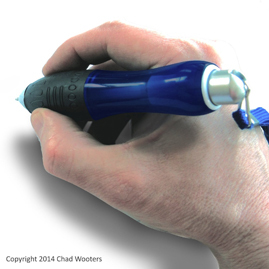 This allows a user to more easily write and increase their independence. Great for those with arthritis. One has more controlled writing that is more legible than before.